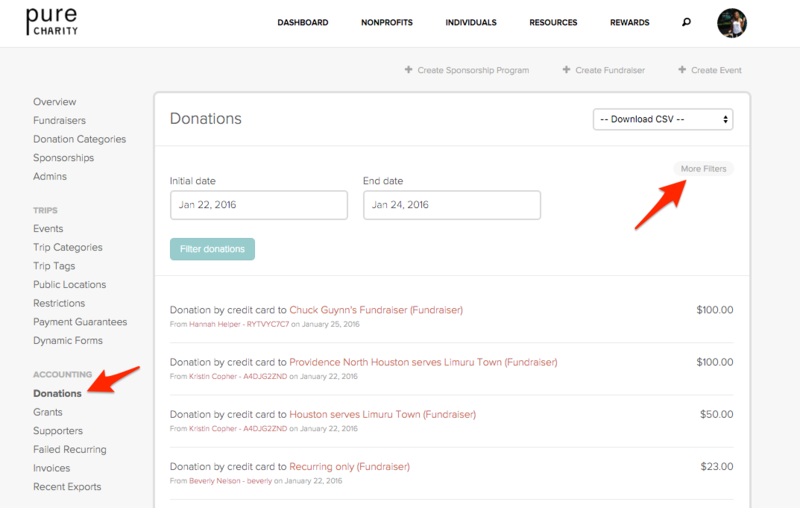 How To: Download donor information for a specific fundraiser? 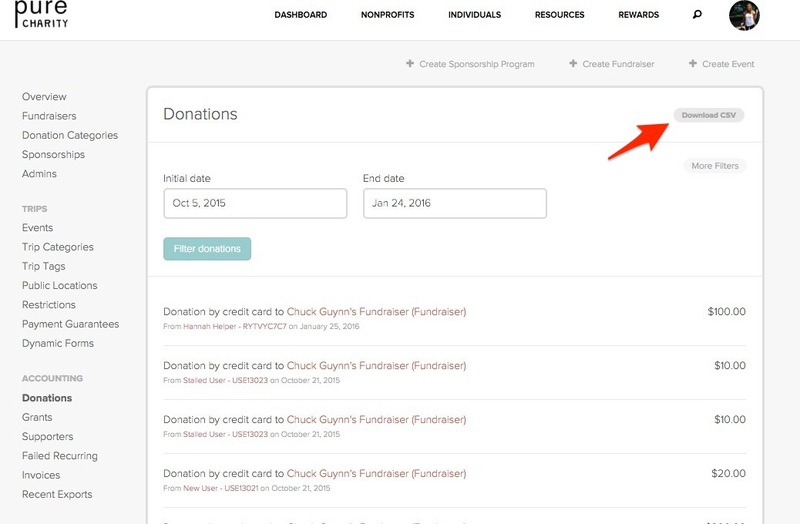 From your field partner dashboard, you are able to pull a donation CSV for a specific fundraiser. To pull this report, your fundraiser will need to have a Campaign ID. To add this ID to a fundraiser, go to the Edit Fundraiser page of the intended fundraiser and add a specific ID in the Campaign ID field. Click Save. Now that this ID is added, you will be able to pull your donation report at any time using the ID created. To download your donation report for this fundraiser, follow the instructions below. 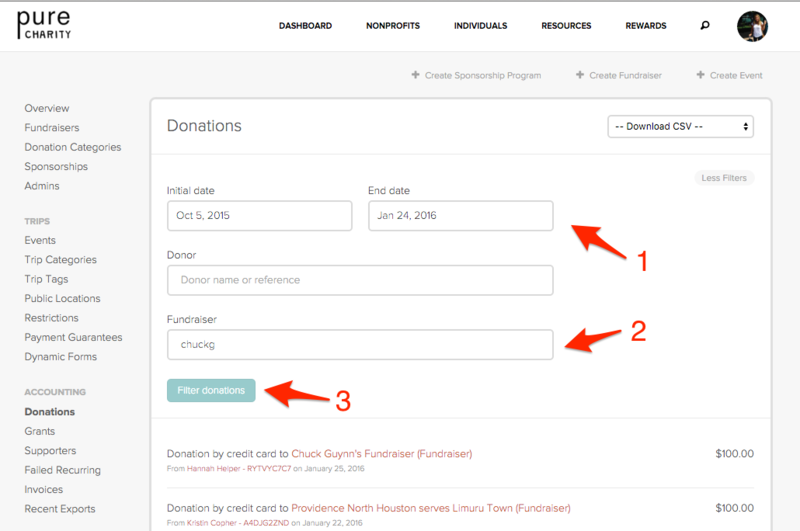 Step One: Starting from your Field Partner dashboard, click Donations. Next click More Filters. Step Two: Select the correct date range. 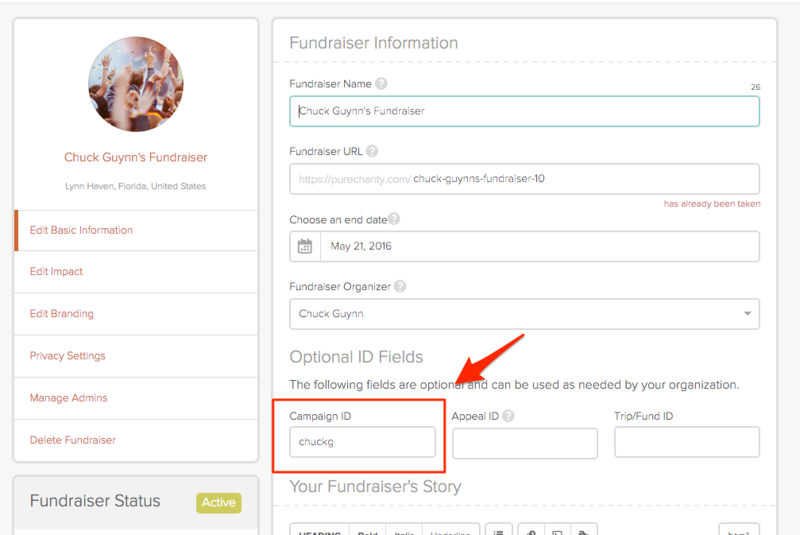 Input the Campaign ID in the Fundraiser field. Click Filter donations. Step Three: The selected info should now show. Click Download CSV & find your report in your email OR under the Recent Exports tab.